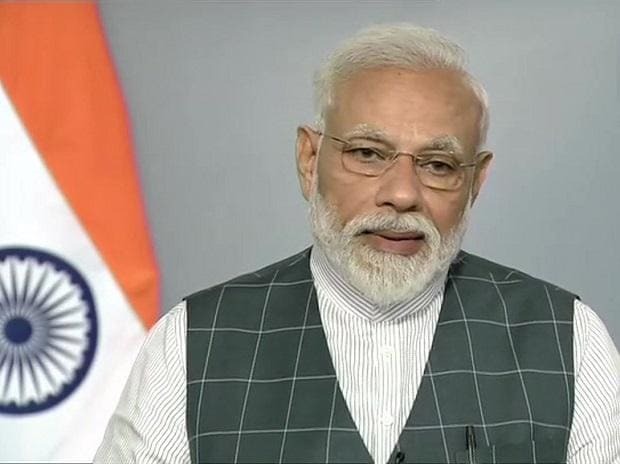 In an interview to a Hindi TV channel, Prime Minister Narendra Modi said that what Congress has done in the past and what they are promising in their manifesto is not doable and right for the nation. He said that NYAY is a short cut by Congress which is deplorable. On the question of administration, Modi said, "During the previous election campaigns, I said to the people that they have seen the 60-year administration, now give me 60 months. There have been two PMs who have not been from Congress gotra. Atal Bihari Vajpayee and Narendra Modi, and we work for the people." Taking a dig at the Congress manifesto, he said that Congress has people with experience of governance and a more mature and believable manifesto was expected from the Congress Party. He said, "On railway lines, it is written short cut will cut you short. That is what they are doing. NYAY is a short cut. They failed on all promises throughout." He said that the intellectuals and economists of the country should analyse and tell if their promises in the manifesto of Congress can be delivered or not. AFSPA: Modi said that Congress' stance is deplorable. He said "We want a country where an AFSPA is not needed. But first, let's reach that stage... The India forces contribute to huge numbers in peacekeeping forces and behave very professionally, but doing away with AFSPA is not possible, not unless the situation is better. Modi said his government has been doing away with laws that are redundant and no one has questioned those moves. Sedition law must stand and criminals should be dealt with the full force of the law." Congress' manifesto is in sync with the language separatists use for our country, he said. Alliance With PDP: We waited for others to form the government, no one came up, hence we formed govt with PDP. We had our relations with Mr Mufti and it worked at that time. When Mehbooba Mufti came at the helm, things changed. We wanted elections at panchayat level. We wanted people to run their businesses. We wanted panchayats to get money like elsewhere in the country. PDP did not agree to it and hence we moved away. We tried to do our best, when we could not, we moved away. On Pakistan: Modi said that his job is to run India and he can't do anything about who is running Pakistan. "Leaders across the globe fail to understand who runs Paksitan. Is it ISI, the chosen govt or Pakistanis in asylum? If Pakistan stops exporting terror, we can work with them", Modi said. He mentioned that despite the differences, India and China are working together and are on talking terms. India and China have not let differences become disputes. Air strike: Modi was quick to point out that Pakistan gave the proof of airstrikes by India in its territory. He said people who want to debate the casulties can do so. He clarified that India did not hit military and civilian targets, else Pakistan would have raised the issue globally to give India a bad name. He said he did keep a track of the events as they happened during the airstrike. Pulwama: He was questioned on his shooting event at Uttarakhand. He said he kept a track of the events and kept monitoring the situation until he reached Delhi. When asked if he has a personal vendetta with Gandhi-Nehru he said the National Herald case did not start in his tenure, but previous governments supressed cases. He said he works as per the law. He added that he is not on personal terms with Priyanka and Rahul and he is not worried who contests against him. He said that he did not choose Varanasi, it was a party decision. He added that Rahul Gandhi can contest from Wayanad, as the constitution allows him to. However, leaving Amethi speaks volumes about where he has failed. Alliances: PM Modi was asked how he could call the opposition alliance 'maha milawat' when NDA had a large number of parties too. He said partners in NDA alliance are together. They work in tandem and support each other. Hitting at partners of Congress, he said National Conference says there should be 2 PMs but Congress is still supporting them. It should clarify its position on this issue. SP-BSP: There should be challenges in democracy. Media footage is not challenge for me. I am not able to see anti-incumbency. I am able to see a pro-incumbency wave, a pro-government wave, he said. Ram mandir: Modi said that his party considers the Constitution supreme and is waiting for the verdict. He said like everyone, he too wants the temple. However, he refrained from asking the question on Priyanka Gandhi Vadra not visiting Ram Lalla. Jobs: He said taxpayer base has increased. Mudra Yojna has given out loans to millions which means people are getting jobs in the informal sector. Congress just can't see it. Amit Shah as number 2: In the end, he said that Amit Shah is the representative of the people. He could have been the minister in his government as a Member of the Rajya Sabha if he wanted. Talking about election predictions, he said that BJP would increase its tally of seats and so will its alliance partners. The government will do all it can to bring back the economic fugitives.